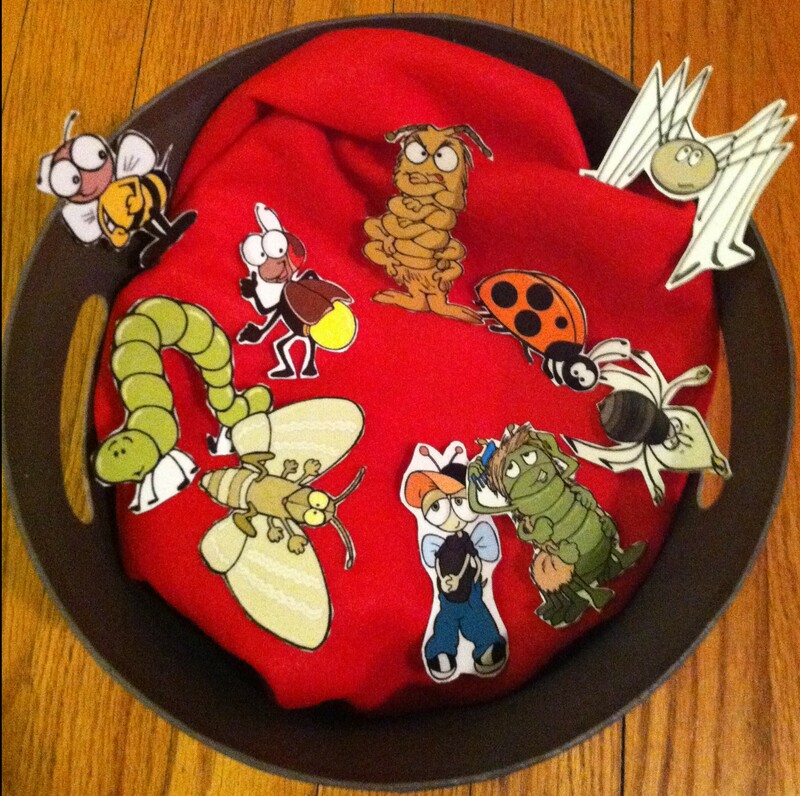 Thanks for sharing – your bug buddies are adorable! I love that you shared the PDF too; it can be so frustrating to see cute characters in a post & not be able to find anything that looks as good when you make the set for yourself. Do you have certain go-to websites for clip art or do you use a software package? I have been having trouble finding good quality images (especially in colour) for my story sets. between the two of them i can usually find good images. i use a 2-step process. first i do a general search (in this case: bugs). I find an image i like, and narrow the search to the “collection” that image belongs to. This way makes it easier to find images that coordinate well. This search didn’t take me very long, but finding 10 images that worked well together was a little challenging. 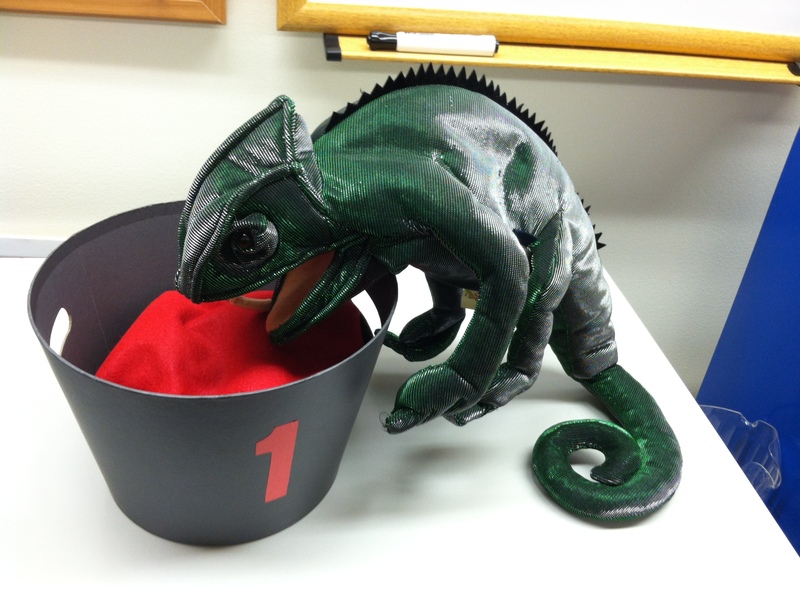 What a fun way to make this book come alive! That puppet is great with it. 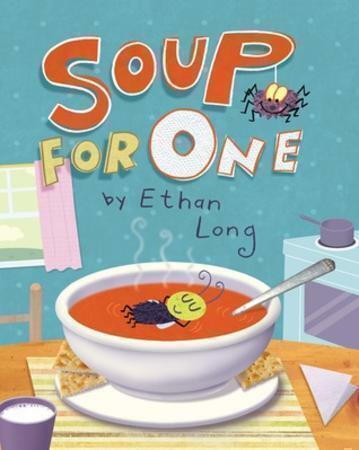 I love doing soup storytimes, and I know I’m going to have to add this one in! Thanks for sharing. And why didn’t you do this one BEFORE I did my annual soup program? Seriously, this is adorable and I am going to see if we have the book and then I am going to print this out or make a note of it and do it NEXT January. I love this book and your version is super cute!